Any organisation looking to manage planned and reactive maintenance on properties. 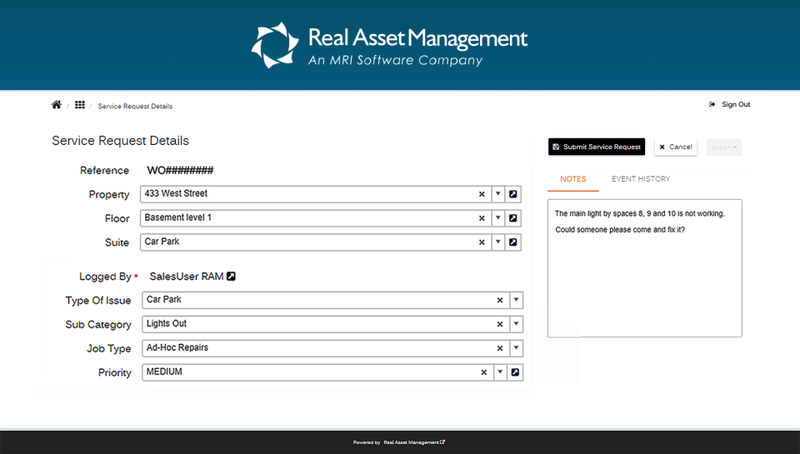 Real Asset Management, an MRI Software Company, is a leading provider of Facilities Management software. The combination of RAM's work request web portals along with work order management, mobile work management apps and live KPIs, is enabling organisations to streamline processes, improve productivity and reduce property management costs. Available as either a cloud or on-premise solution, FM5000 can be tailored to suit organisational requirements.